Kantar Worldpanel, the global market leader in consumer panels, reports spending in fast moving consumer goods (FMCG) grew by 4.7% for the latest 52 weeks up to 11th Sep 2015. While in quarterly comparison, there was a significant drop from prior quarter’s rate of 6.6% to 2.7%, which hit the lowest growth rate over the last three years. Modern trade (including Hypermarket, Supermarkets and Convenience Stores) also exhibited lacklustre performance, only grew by 2.4% in 2015Q3 compared to the same quarter last year. Within this those there were still pockets of strong performance. In tier 1&2 cities, modern trade appears to be approaching saturation point, grew only by 0.7%. Large store format such as Hypermarket actually saw a -1.4% decline, while smaller formats started to gain in those cities (grew by 6.5% for Convenience Stores). In lower tier cities, Hypermarket and large supermarket enjoyed healthy spending growth of 10.4% and 7.0% respectively. This suggests that retailers shall be more cautious in opening new large format stores and need to consider new formats to cope with the changes in shopping behaviours. In the battlefield of China’s FMCG retail market international retailers are still struggling to turnaround their share. They now make up 13.5% in 2015Q3 nationally, a drop of 1.0% from 2014. International retailers not only lost ground in their stronghold that is tier 1 & 2 cities in where they have significant presence, but also not able to add share in developing lower tier cities. Constant decrease in penetration is the key reason for the market share loss of international retailers, down to 29.6% in 2015Q3 from the same quarter two years ago. On the other hand, local retailers keep leading the race. Sun-Art Group continues to outpace the market growth, gaining market share to 7.5%, up from 6.9% in 2014Q3. The group has gained substantial increase in market share in all regions. It added share its stronghold in East (15.1%), whilst outperforming competition in in South (4.4%), West (2.1%), and North (6.1%). The growth of Yonghui’s market share has begun to slow down. The group increased its market share to 2.2% in 2015Q3, however, is now only 0.1% up from 2.1% in 2014Q3. In East and North, fast growing penetration helped the group expand the market share, achieving 1.1% and 2.2% respectively; while the retailer did not replicate this in South and West in where the market share was slightly down, 2.4% and 3.8% respectively. Yonghui has recently been more active in building alliance/acquisition (With ZhongBai, BaiLian, and JD.com) to strengthen itself, aiming at creating a stronger ecosystem drive future growth. Shopping online continues to thrive and penetrating further into lower tier cities. While offline retailers grapple with growth challenges, shopping online in China maintains its fast growing pace in spending. In fact, online spending rose 37% for the last 52 weeks up to 11th Sep 2015. The boom of online shopping is spurred by gains in penetration and purchasing frequency. Online penetration in total China increased close to 40%, compared with prior period of 33.6%, with the average households making more than 4 purchases per year. Lower tier cities offer the strongest opportunity for fast growth online and this is reflected in the large capital investments pouring into developing e-commerce’s infrastructure. Growth stands at 43.6% which is much faster than 30.9% in high tier cities. Currently only 36.3% of lower tier shoppers have bought online in the last year offering a lot of headroom for further conversion to the channel. All-commerce giants, regardless they are platforms or Omnichannel retailers, are looking to develop their shopper base in these markets, which recorded a 43.6% increase in value growth. 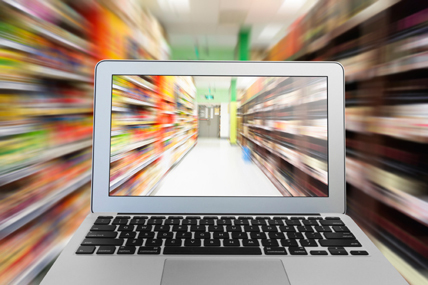 As there are still less people shopping through e-commerce in those city tiers, it is critical to develop a stronger O2O capability to attract more offline shoppers to try their first purchase online. Not only are there more shoppers entering online channel in lower tier cities they are also shopping more often. Purchase frequency increases are becoming more significant driving force for high tier cities, with average household making almost 6 purchases per year. 3. International retailers refer to retailers originated outside Mainland China, Taiwan, Macau, and Hong Kong.